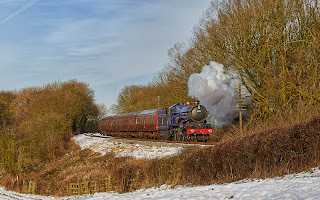 The weekend of the 25th - 27th Jan 2013 saw the Great Central Railway hold their Winter Steam Gala. Having never been to such an event before (and also having bugger all else to do) Laurie Hughes and I went along. I still can't come to terms with being a train spotter but steam trains in the snow was something special. Thanks to everyone who made us feel welcome, though I have no idea what any of you were talking about most of the time. Shots from the day are on the website.